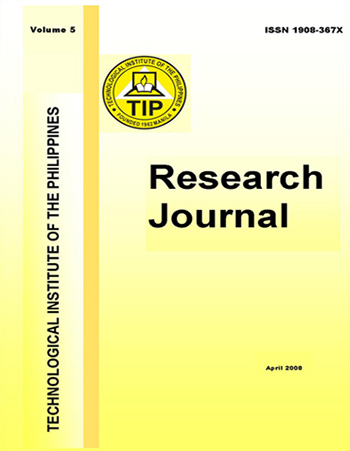 The TIP Research Journal is the official publication of the Technological Institute of the Philippines. It publishes featured researches and abstracts of studies by research proponents in different academic departments and non-academic units of the Institute. Featured researches are the winners in the search for Best Chair, Best Faculty and Best Non-Teaching Employee Researches. It also includes researches which have been presented in conferences in the local forum.